A titan of the European Church since the late 1970s, Godfried Danneels died as a symbol of an exhausted liberal Catholicism resuscitated by Pope Francis. It was passing strange that such an acclaimed man would die more a symbol than remembered for his legacy, but the legacy of Cardinal Danneels of Mechelen-Brussels was rather undistinguishable from that of an entire generation or two of European prelates. Educated and formed in a largely vibrant Catholic culture as a boy and young priest, Danneels presided over a Belgian Church for three decades that is now so weak that, if it were an ordinary Belgian citizen, it would be euthanatised on an accelerated schedule. Danneels was not responsible for the cultural tsunami that dumped the impressive heritage of Belgian Catholic piety, scholarship and art on the shore like so much flotsam and jetsam. But his response – to try to surf upon the tidal wave – was only an attempt to survive, not resist. At best he was inadequate to the times; at worst he was their accomplice. In that, despite remarkable intelligence and charm, his pastoral approach was wholly unremarkable. By the time of his death, the accommodationist approach had been tried and had failed in dozens of places over decades, just as Danneels had tried it and failed in Belgium. The great accommodator was, in part, always welcome – even celebrated – in the elite circles of Belgian society because he rarely challenged their prevailing ethos. Danneels, appointed Archbishop of Mechelen-Brussels in 1979 by St John Paul II – and created a cardinal in 1983 – served in office until 2010. John Paul throughout his long pontificate appointed a good number of leading cardinals from the liberal side of the Church – Carlo Maria Martini of Milan, Joseph Bernardin of Chicago, Roger Mahony of Los Angeles, Walter Kasper and Karl Lehmann of Germany – so Danneels was not isolated. Indeed, John Paul even appointed Danneels the relator general of the 1985 extraordinary synod on the 20th anniversary of Vatican II, the task of which was to evaluate the lights and shadows of the post-conciliar period. That synod was a turning point, out of which came the Catechism of Catholic Church. At the opening of the synod, an exasperated Danneels protested: “This is not a synod about a book!” He was referring to The Ratzinger Report, the interview book released earlier that year which set the terms of debate at the synod, calling for a reaffirmation of traditional Catholic doctrine after the turbulence of the years after the Council. Cardinal Joseph Ratzinger won the day in 1985, and continued to prevail over Danneels and the progressive party. By 1996, Danneels retreated with his fellow John Paul-appointed liberals for occasional strategy sessions in St Gallen, Switzerland, to plan for the future. 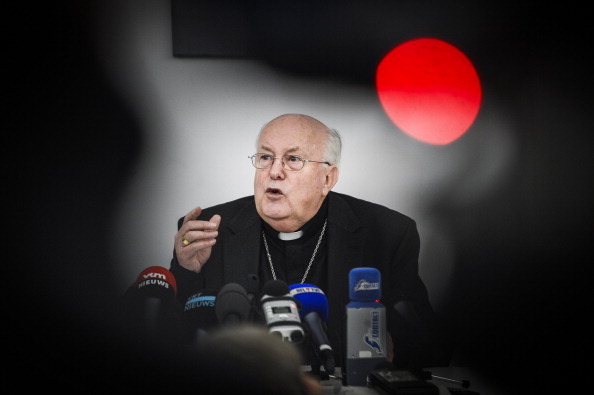 What Danneels called the “St Gallen Mafia” would have their candidate in the 2005 conclave, Cardinal Jorge Bergoglio of Buenos Aires, but Ratzinger would be elected.